Research has shown that meditation helps to reduce stress, focus the mind, and relax the body. 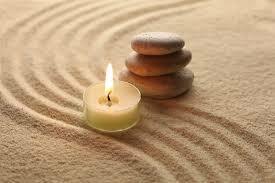 Restorative Meditation meets on Fridays from 5:15 p.m. to 6:15 in the UUFD Library. Meditation with Buddhist Study Group on 1st and 3rd Sundays in the UUFD Library. Brief meditation period from 12:00-12:20, followed by discussion beginning at 1:00 p.m. You may come for just the meditation, just the discussion, or both.